Easy colour reading full of movie magic. One for all you little stars. Keira grabs the limelight in the latest fairy favourite to get a brand new colour look. A Hollywood blockbuster is filming in Kirsty’s village. Even better, Rachel and Kirsty have parts as extras. 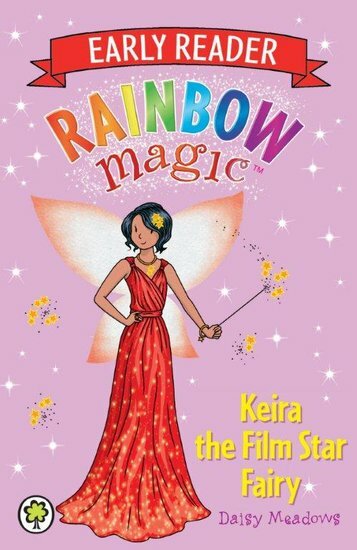 With Keira the Film Star Fairy’s help, they can’t wait to appear on the cinema screen. But then Jack Frost and his nasty goblins start causing trouble. Is this the end of their movie dream?